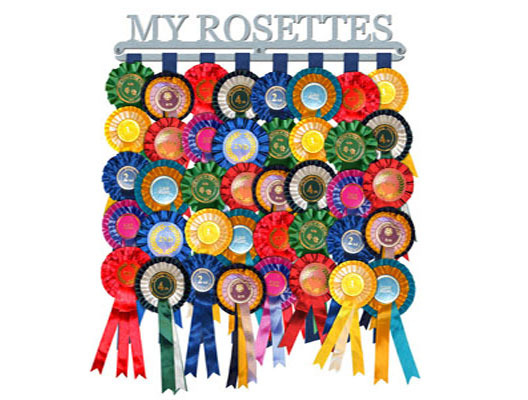 A simple, attractive and effortless way to hang your rosettes. 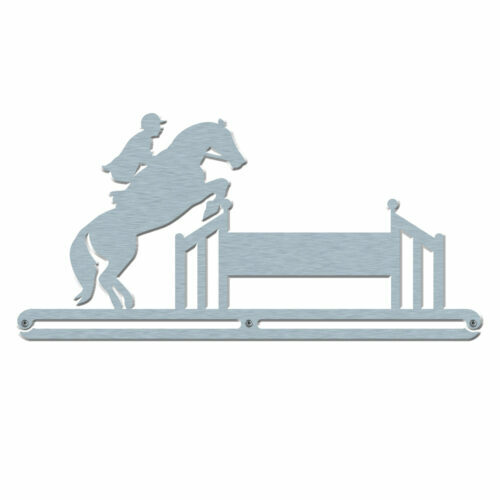 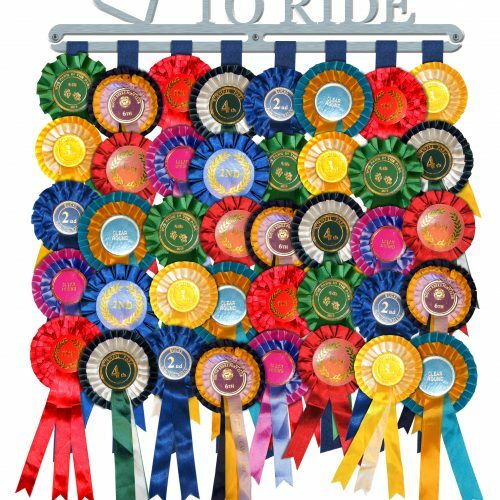 Whether you are a horse rider, dog owner, or livestock show person we have the best solution for your rosette display. 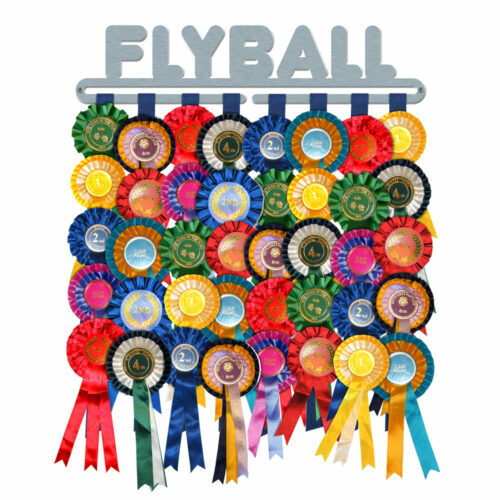 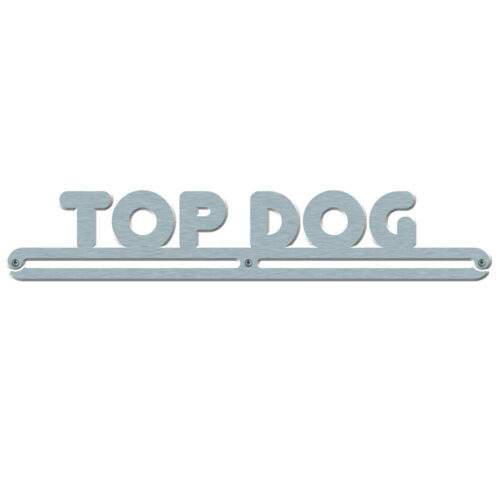 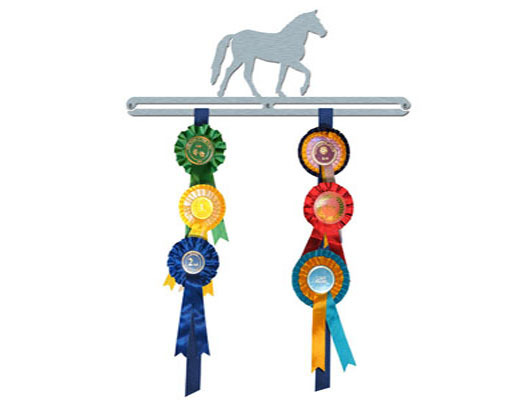 We provide stainless steel wall mountable displays complete with eight ‘tails’ of ribbon and Velcro dots that connect your rosettes to the ribbons. 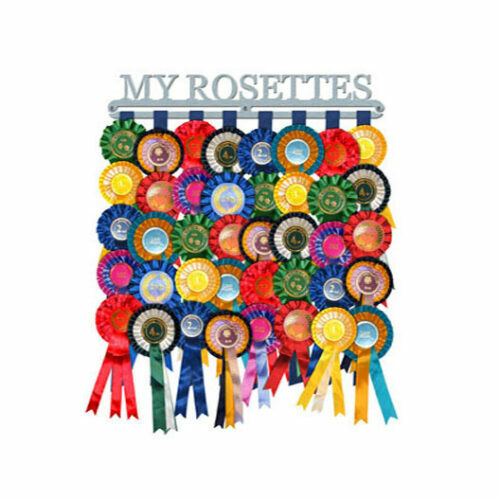 Each rosette hanger holds approximately 40 rosettes, with the option of buying an additional bar to double the size of your collection.